IMPORTANT: Damn, after my email program (Thunderbird) has made my day a while ago by bringing in around 1500 duplicates of long recieved emails from my webmail server i lost the email adress of Daniel, the comissioner of the Dark Elf during cleaning up furiosly ... please contact me... damn sun, haha! 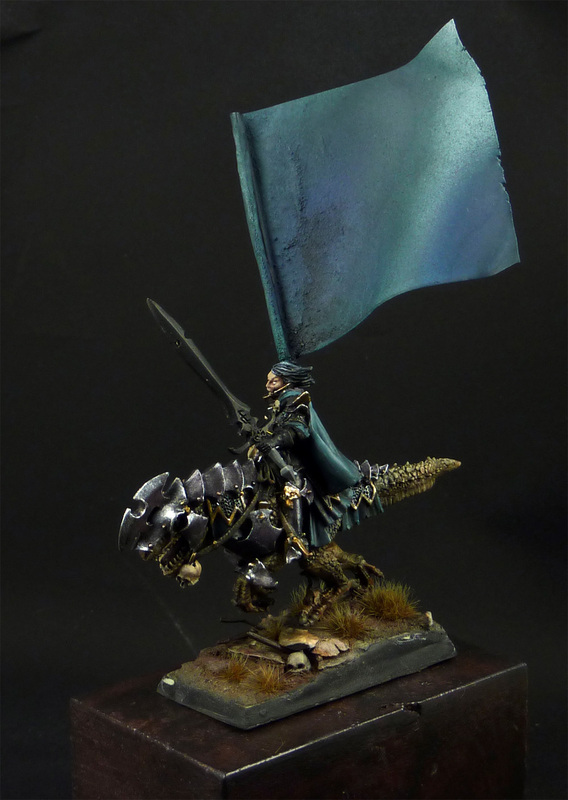 Like them both a lot, absolutely love the huge banner for the Dark Elf - mind sharing what you have made it out of, and how? 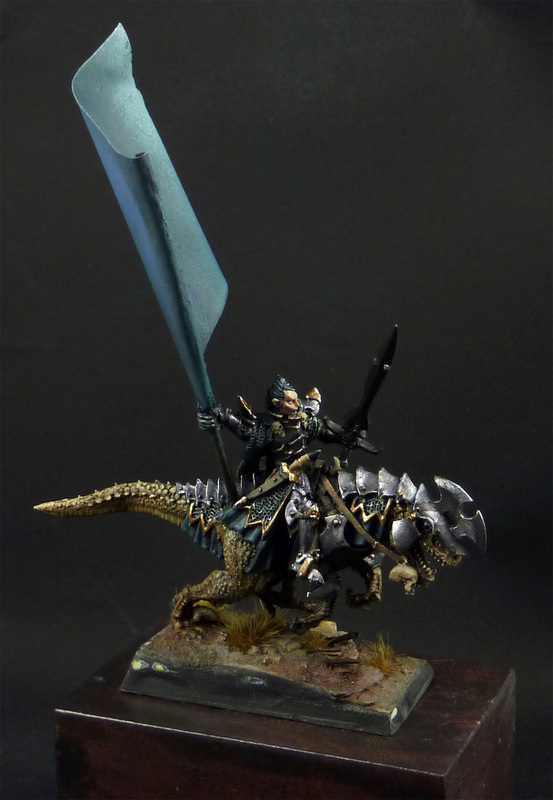 Really like how the base fits so well with the colours of the Cold One: very natural, as I believe a hunter dinosaur like that, wouldl ike to have some camophlage as it sneaks up on whatever prey it is hunting. What's better is how well it fits with the dark torquise of the Elf's clothes and banner. WOW, I really love the COC and the lightning on the Librarian. 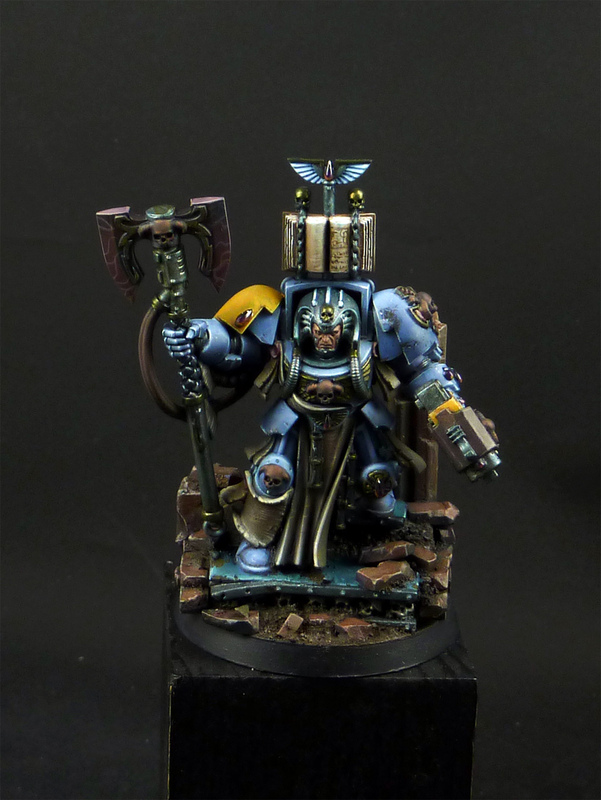 Didn't think a blue armour along with blueish metallics would work so nicely. Thumbs up!